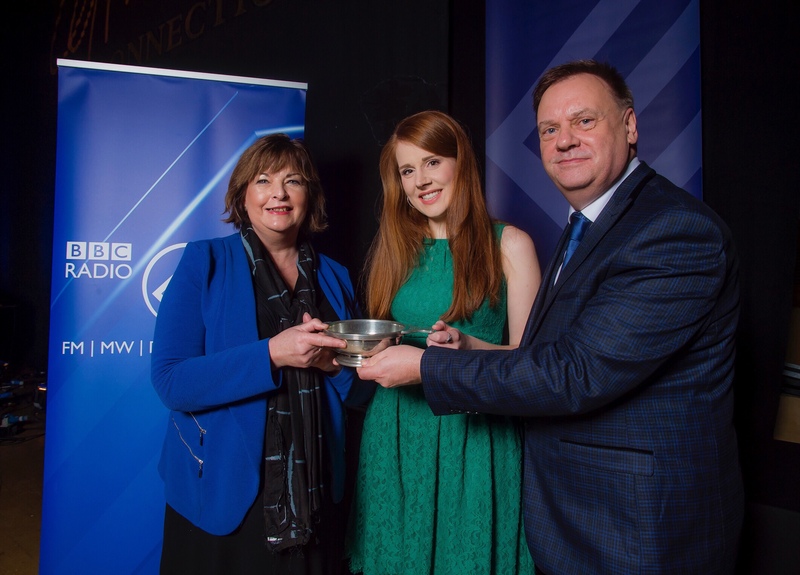 Singer Hannah Rarity was named BBC Radio Scotland Young Traditional Musician 2018 last night (Sunday January 28) after a rousing winning performance at Glasgow’s City Halls. Judges were unanimous in awarding the 25-year-old the title, now seen as the premier accolade for young musicians in their field. Each of the five finalists gave a stirring performance, broadcast live on BBC Radio Scotland as part of Celtic Connections. But Hannah, of Dechmont, West Lothian, had the edge during an evening of superb entertainment. Jeff Zycinski, Head of Radio at BBC Scotland, said: “Every year we are amazed at the consistently high standard of young musicians who reach the finals. Hannah’s performance particularly impressed the judges – she captivated the audience from the moment she stepped on stage at the City Halls. “It was an extremely difficult choice, though. Each one of our finalists was magnificent, giving some especially spirited performances and showing exactly the kind of individuality and flair we set out to find when we launched the search for this year’s winner. 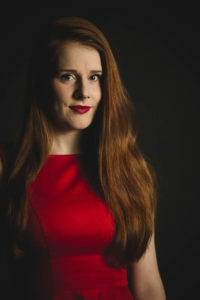 Hannah joined the National Youth Choir of Scotland aged eight and honed her trad music style until beginning the Scottish Music course at the Royal Conservatoire of Scotland in 2012. 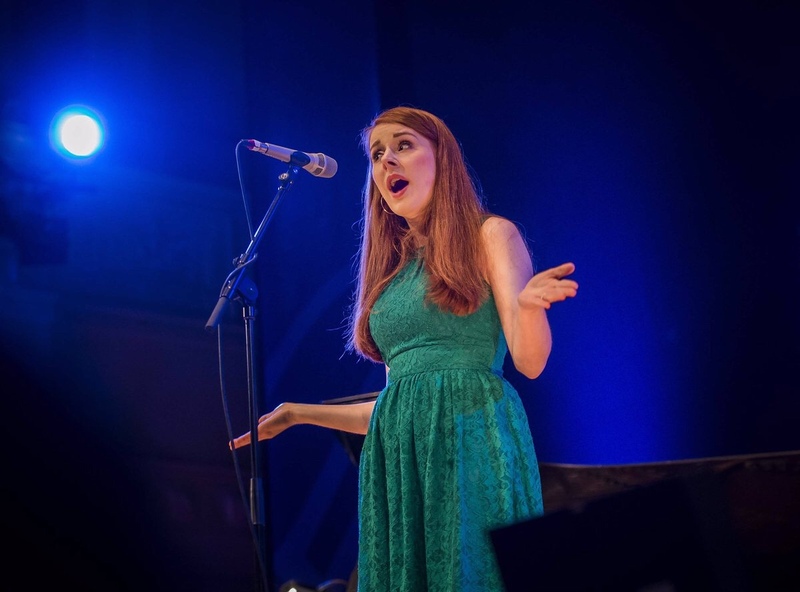 Since graduating, she has toured internationally with Irish-American traditional group Cherish The Ladies, appeared as a soloist on BBC Scotland’s Hogmanay Live 2014 and 2016 and performed a debut sell-out show at last year’s Edinburgh Fringe. She released her debut EP Beginnings in November 2016, with a debut album to follow later this year. Hannah wins a recording session with BBC Scotland and one-year membership to the Musicians Union. All finalists get a one-year membership to the Traditional Music and Song Association of Scotland (TMSA) plus the opportunity to take part in the TMSA’s annual Young Trad Tour. Previous winners of the award who have gone on to make a big name for themselves on the trad scene include last year’s winner, fiddle player Charlie Stewart, and 2016 title holder, concertina virtuoso Mohsen Amini. Other big names who used the competition as a major springboard in their careers include singer Robyn Stapleton who won in 2014 and talented 2004 winner, multi-instrumentalist Anna Massie. 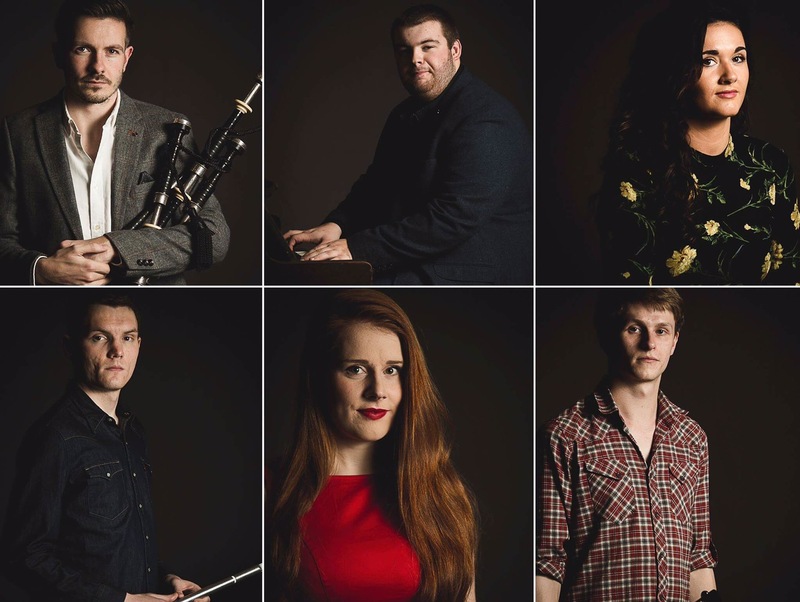 Organised by BBC Radio Scotland, the Young Traditional Musician of The Year competition has been running since 2001, increasing the profile of Scottish traditional music and recognising rising talent in the genre. Heavily influenced by pipe music and Gaelic song, Rory’s love of trad music was cemented playing at ceilidhs all over Scotland on both piano and accordion. 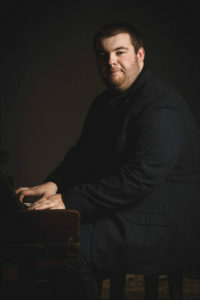 Now studying Traditional Music at the Royal Conservatoire of Scotland, he is taught by James Ross and Mary McCarthy, two of the top pianists on the traditional music scene. He enjoys bringing elements of jazz and blues to his music. His playing experience includes being part of the Fort George Military Tattoo in 2015 and also playing with 20-piece regional ensemble ‘Snas as well as energetic modern trad outfit Trip. Amy, who also plays piano and violin, began singing lessons at 11 and never looked back. As a teenager, she toured America, Canada and Germany with the Strathspey Fiddlers and went on to gain her BMusEd Music Teaching Degree from the University of Aberdeen. She now works part-time as a high school music teacher in North Lanarkshire while studying for a Masters in Scottish Music at the Royal Conservatoire of Scotland. Performance highlights for Amy include BBC Radio Scotland’s Take The Floor and BBC Proms in the Park. She plans to record an album next year. Ali became hooked on the pipes when a family friend began teaching him at the age of nine. 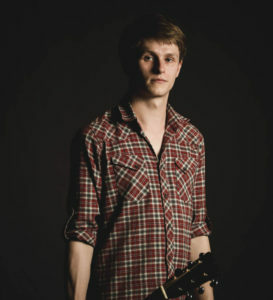 At 14, he began his studies at the National Centre of Excellence for Traditional Music and spent the next four years working with some of the country’s best tutors while also gaining accolades in various competitions. In 2012, he began studying Piping at the Royal Conservatoire of Scotland and became heavily involved in the Feis movement. 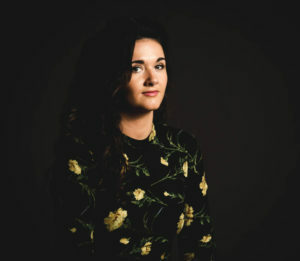 Ali currently lives in Glasgow and has enjoyed working with artists including Dougie Maclean, Mischa Macpherson, Edwyn Collins and previous Young Trad winner Charlie Stewart. 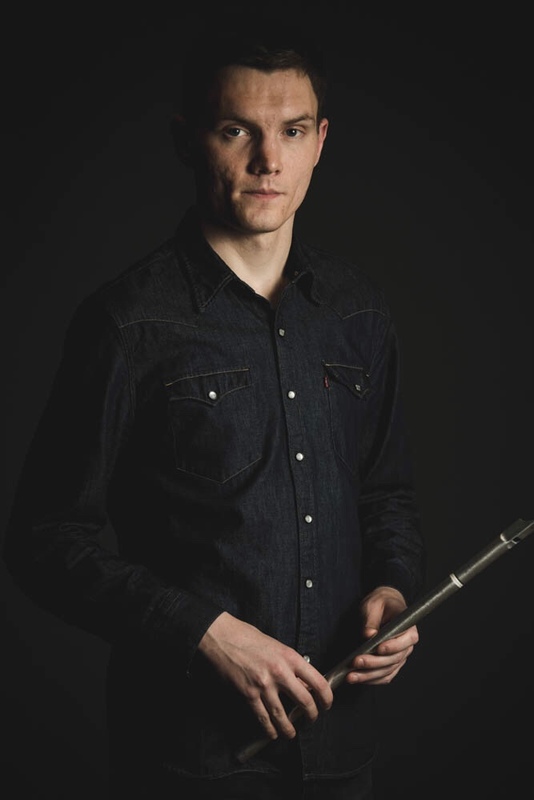 David began playing pipes at the age of nine, went on to graduate from the Royal Conservatoire of Scotland with a first-class honours degree in Scottish Music in 2015 and now makes a living playing and teaching traditional music. He was taught by the late Donald MacPherson, whom many regard as the best piper of the 20thCentury, and counts him as one of his biggest influences. 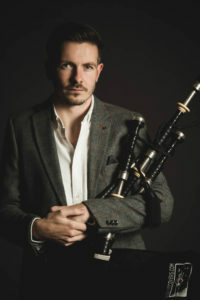 David has played at the highest level of competitive piping and has played in many top pipe bands over the years, including the Scottish Power pipe band, with whom he performed at one of the Celtic Connections opening concerts at Glasgow Royal Concert Hall. This year David performed with his band ‘Farrland’ at Celtic Connections, and is looking forward to releasing an album in early 2018 with new band Assynt. How did you get involved in Scottish music? I first began chanter lessons at the age of nine, with encouragement from my Grandfather to do so. I’ve been involved with the Feis Rois since the age of nine. Why did you enter BBC Radio Scotland Young Traditional Musician Award? In short, to gain recognition for my craft. A following for my music releases and future projects. Do you have any particular musical highlights? Performing at Viljandi Folk Festival in Estonia, as part of Levack/Stewart/Irving. Great few gigs there and an awesome festival. Performing as part of Dougie Maclean’s band in the final act of the 2014 Commonwealth Games closing ceremony at Hamden Park, Glasgow. We were joined on stage with Kylie Minogue and Lulu for the final song. The Release of ‘Project Smok’ debut album ‘Horizons’, 2017. ‘Project Smok’ is a duo with myself and guitarist, Pablo Lafuente. Recording whistle on a coupe of tracks for Anxo Lorenzo’s upcoming album, due for release in May/June this year. Performing and travelling in many different countries with ‘Whisky Kiss’ Ceilidh Band. Singapore, New York, Shanghai, UAE to name but a few of the countries we have played at. Living and performing for 6 months in Orlando, Florida as part of a trio in Disney World. I plan to continue living in Glasgow, to continue performing, collaborating and writing new music. There are many great musicians I know (and many I don’t know) across many different genres of music who live in Glasgow. It’s a great city to be in for musical diversity and standard. To collaborate, write, perform and/or record with other musicians abroad is also what excites me. A solo album of my own is my main priority for this year also. Why not buy a ticket to hear Alexander Levack or any other of the finalists at the Grand Finals on Sunday January 28th at 5pm. The finals are part of Celtic Connections festival. If you can’t make it along the event will be broadcast on BBC Radio Scotland between 5 & 8pm and on the iPlayer afterwards. I got involved in Scottish music when my mam convinced me to audition for Kathryn Tickell’s Folkestra at the Sage Gateshead when I was 14. The repertoire we were taught was an interesting mixture of traditional and contemporary arrangements of Northumbrian, Scottish and Irish music. Prior to that I had no concept of folk or traditional music that I can remember apart from the Pogues and a couple of Planxty/Bothy Band albums I’d heard around the house. Once I got into it, though, I was hooked. I would go to as many festivals, gigs and sessions as possible, which is what eventually made me want to move to Glasgow: the place with the highest concentration of amazing musicians and bands, and sessions every night. I entered the competition because I had seen quite a few friends go through the process, and saw how motivating it can be to try and prepare material that shows off your best playing in a short space of time, on a scarily big stage. I mainly see it as a challenge to myself, to try and push me into exploring my solo playing. I mostly work as an accompanist, so it’s not often that I happen to be at the centre of a performance. But with this competition, that’s completely unavoidable; so for the most part, I hope to gain confidence in my solo playing and singing as well as just enjoying the chance to be accompanied by some of my favourite musicians. I’m also getting the rare chance to share a serious concert bill with some of the best players from my age group, rather than just seeing them in the pub! Last Summer, Dosca had the pleasure of sharing the bill with the Treacherous Orchestra at the Montelago Celtic Festival in Italy – it was both an amazing gig and a hilarious party/holiday and a complete honour to be in the company of so many great players. I also had a lovely gig with Snuffbox at the Scots Fiddle Festival in Edinburgh, playing before Graham MacKenzie’s big band. The gig was in the Queen’s Hall and really well attended, and we even got mentioned in a Times article! Another overawing experience recently was competing in (and winning!) the Trip to Birmingham TradFest’s Molloy Award with Iona Fyfe and Charlie Grey. As well as it being one of the finest festivals I’ve been to, with endless sessions and such a high volume of young musicians and music fans, we got to see Flook on the first night, and Frankie Gavin & Noel Hill on the second – all of whom are heroes of mine. More gigs, teaching and travelling hopefully. Dosca are releasing their album on the 20th of January so hopefully we’ll get some work out of that, on top of quite a few gigs I have booked in with Snuffbox and Iona Fyfe for this year. I have also been keen to do some solo work for a while now, so maybe this will be the year for that! Why not buy a ticket to hear Luc McNally or any other of the finalists at the Grand Finals on Sunday January 28th at 5pm. The finals are part of Celtic Connections festival. If you can’t make it along the event will be broadcast on BBC Radio Scotland between 5 & 8pm and on the iPlayer afterwards. I would sing at the local TMSA Keith Festival through primary school and loved it. I never did very well as I would be super nervous every time… However, I remember being 7 years old and Margaret Bennett was the judge for my category for scots singing and her lovely / positive feedback struck a bit of confidence in me and so I continued to sing. After my dad made me a fiddle when I was 13 I was determined to join the local Strathspey Fiddlers as I had watched them play a few times and it looked like so much fun. After taking up fiddle lessons I joined the group 9 months later and it was the best thing I could have done. I then met friends with the same interest, and we played in Canada, Ireland and Germany to name a few. When at University in Aberdeen I also took up an interest in trad piano so I taught myself through listening to bands such as Session A9 and Blazin Fiddles and I travelled through to Glasgow at the time for 2 or 3 lessons with Hamish Napier. When I was in high school one of my close friends from the Strathspey Fiddlers was in the 2009 finals. A group of us travelled down to watch him and I just remember thinking to myself “WOW, I want to do that! 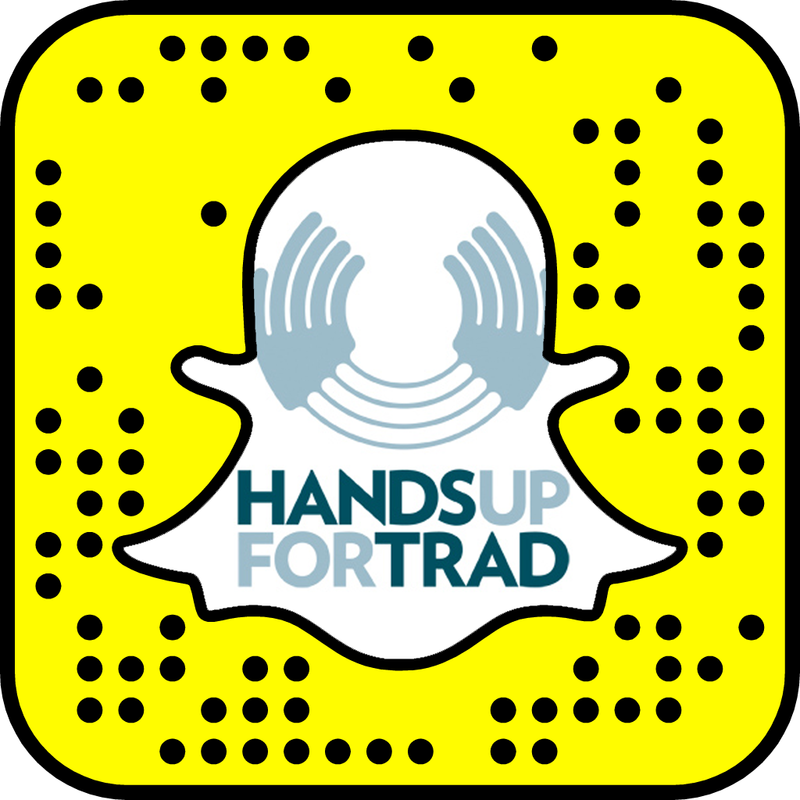 !” Being in the young trad has been a massive goal of mine since I was a young teenager. Never did I ever think I would make a final. I have wanted to be in the competition so much because I would like to share my songs that I write on a big platform. Firstly, I have already gained very good friends through the semi’s so this is great!! I am really looking forward to gaining the experience of touring and recording with these amazing musicians. I have gained knowledge on PRS and really good contacts. When I sang at the 2009 BBC Proms in the park. This was an absolutely amazing experience, singing with the Scottish BBC Symphony orchestra playing behind me was crazy. Also, I travelled to Malawi last June and spent two weeks playing my fiddle in some of the most dangerous maximum security prisons in the world. This was probably the hardest/most emotional / sad / amazing musical experience I have ever had. I am recording my first EP next week which should be released in February / March. I will hopefully graduate in my masters from the RCS this year then the plan is to fund for and record my first album of my own songs later this year into next. Why not buy a ticket to hear Amy Papiransky or any other of the finalists at the Grand Finals on Sunday January 28th at 5pm. The finals are part of Celtic Connections festival. If you can’t make it along the event will be broadcast on BBC Radio Scotland between 5 & 8pm and on the iPlayer afterwards. The area I grew up in is not well known for its traditional music! You would have been more likely to find me at the bottom of the garden, age 4, singing rock band Queen’s ‘I Want it All’ – a story my Dad likes to tell – than singing traditional songs and melodies, but I have always favoured songs that I feel expertly capture certain emotions or stories. It is in traditional song I find this is often done best. I always sang, but after joining the National Youth Choir of Scotland at the age of 8 I was exposed to pieces and arrangements of music from many genres, but I always seemed to be naturally drawn towards traditional Scottish material. A voice tutor of mine recognised this and suggested I apply for the Scottish Music course at the Royal Conservatoire. I started the course in 2012 and it was in Glasgow I was able to immerse myself, not only in the study of Scottish music and song, but the vibrant folk music scene there. The BBC Radio Scotland Young Traditional Musician competition provides the invaluable opportunity of professional advice and high profile exposure for young musicians who are building their careers within the Scottish music scene. I thoroughly enjoyed the semi-finals in Biggar, spending time with the other musicians and watching them perform. I have already gained a great deal knowledge and experience from the semi-finals. Selecting songs for the time allotted in the semi-final and final forces you to choose material you feel represents you best as a traditional singer, and this process will help me in the future for performances as well as recording. Also, performing in the City Halls on the 28th to a large audience is one I’m sure I won’t forget! I’ve been lucky with the opportunities I’ve been given thus far, but an evening that will always stick out in my mind was the first time I sang with the RSNO in 2013 at Phil and Aly’s St Andrew’s Night at the Glasgow Royal Concert Hall. It was one of my first professional solo performances and I was terrified! It was really thrilling and I knew after that I definitely wanted to keep going and pursue a career in music. I love to travel, and so getting to tour with music and see different places and meet interesting people has been a highlight of being a musician – Japan and Alaska have been some of my favourites! I have plans to record my debut album this year, to be released in the Autumn. I also want to continue to work on developing my songwriting and building my repertoire of traditional material. I no longer sing in a choir, but singing in harmony and creating music as part of a group of vocalists is something I would like to actively pursue this year. Why not buy a ticket to hear Hannah Rarity or any other of the finalists at the Grand Finals on Sunday January 28th at 5pm. The finals are part of Celtic Connections festival. If you can’t make it along the event will be broadcast on BBC Radio Scotland between 5 & 8pm and on the iPlayer afterwards. I started playing pipes when I was around 9 years old. My dad is a great piper so it was just a matter of time before he roped my into it as well! I started to get lessons at the National Piping Centre and, when my brother showed an interest in learning drums we both joined a local pipe band. I think it was Finlay MacDonald at the National Piping Centre that pressured me into applying for the BBC Radio Scotland Young Traditional Musician. He’s been a great mentor over the last few years and I still go in and see him for advice even though I’ve left uni. I set myself a goal of reaching the final, so I’m already delighted with that. I think that I have already gained confidence in my own playing through the experience. The standard is so high and to think that a panel of judges have thought you merited a place in the final is massive validation and lets you know that you are on the right path. One thing that I’ll always have great memories of are the lessons I had with the great, late, Donald MacPherson. It was a real honour to play tunes for him and hear his thoughts on the instrument. Also, I have been quite lucky so far in that I have been able to travel quite a bit with music. It’s always great to see new places and even better when you are taken places you would never think about going unless music had opened the doors. I am all set to release an album this year with a brand new band called Assynt alongside former young trad finalist Graham MacKenzie, and BBC Radio 2 young folk award winner Innes White. I am really looking forward to get that music out there and letting people hear it. Why not buy a ticket to hear David Shedden or any other of the finalists at the Grand Finals on Sunday January 28th at 5pm. The finals are part of Celtic Connections festival. If you can’t make it along the event will be broadcast on BBC Radio Scotland between 5 & 8pm and on the iPlayer afterwards. I grew up in the North West Coast of Scotland, so was brought up with Ceilidh and Dance Band music, and is why I started playing the accordion. This took me through High School where I started playing and listening to more folk and jazz music and started playing the piano in High School. BBC Young Trad Musician has always been a goal for me as a great performance opportunity and a chance to meet and hear great musicians. As I now live and study in Glasgow, I thought this year would be ideal to give it a go! I hope to meet more great musicians, and get the chance to completely arrange and perform and solo piano set, which I have never done! I have been lucky enough to perform around the UK with different groups and projects. Particularly last year where I had concerts with the RCS in the concert hall, Phil and Aly’s St Andrews day with the RSNO, and BBC Radio Scotlands St Andrews Day Celebrations with the RCS, Phil Cunningham and Gary Innes. I hope to go on and make an EP in the next year, and continue playing and gigging as much as I can! Why not buy a ticket to hear Rory Matheson or any other of the finalists at the Grand Finals on Sunday January 28th at 5pm. The finals are part of Celtic Connections festival. If you can’t make it along the event will be broadcast on BBC Radio Scotland between 5 & 8pm and on the iPlayer afterwards. All musicians attend the semi-finals weekend in Wiston Lodge, South Lanarkshire 6-8th October and perform at a concert on Saturday 7th October in Coulter Hall, Coulter, South Lanarkshire. 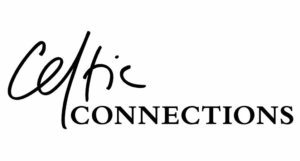 From this concert 6 musicians are chosen to go through to finals at Celtic Connections festival in January 2018. You can buy tickets for the semi-finals concert by visiting www.youngtrad.scot or clicking here. BBC Radio Scotland Young Traditional Musician Award is a BBC Radio Scotland event managed by Hands Up for Trad. The BBC Radio Scotland Young Traditional Musician Award will open for entries on the 25th May 2017. We are looking for 12 semi-finalists to take part in our annual event in South Lanarkshire 6-8th October. The closing date is 2nd July 2017 (1 week earlier than usual) so don’t be late! Check back here for information on how to enter. The 2017 winner was fiddler Charlie Stewart.